The rear door handles of the 2019 Toyota C-HR are mounted up high on the back pillar, where they’re just about as difficult to get at as possible. On the plus side, in the city, it’s reasonably nimble and easy to navigate through traffic. 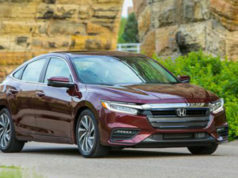 In their never-ending quest to get maximum market share and give customers what they think they want, carmakers sometimes bring out a vehicle that – on paper – makes absolutely no sense. I’m thinking of “sport cute” models like the Nissan Juke, Honda HR-V, Hyundai Kona and Toyota C-HR. These vehicles don’t do any one thing particularly well and, in fact, are kind of annoying behind the wheel. I recently spent time with the 2019 C-HR and, quite frankly, have a hard time understanding why one would consider buying it. 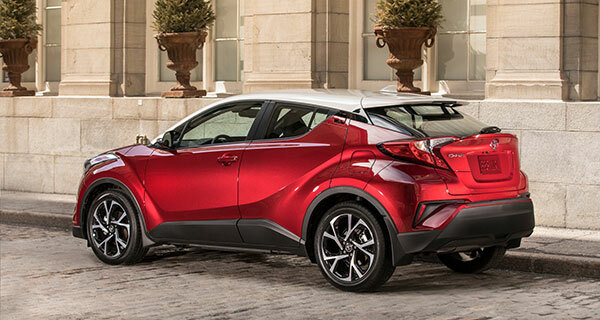 Power for the C-HR is provided by a 1,987-cc four-cylinder engine that develops just over 140 horsepower and is mated to a continuously variable transmission (CVT) only. This is one of the many annoyances that come with this car. Front-drive, the C-HR doesn’t offer an all-wheel-drive option. Apparently it seats five adults – they should be friends. Storage capacity is 36.4 cubic feet (1,030 litres) with the seats folded down, and you can drop the rear seat via a lever mounted on the seat back. Fuel economy is a surprisingly mediocre 8.2 litres/100 km combined rating and the C-HR will carry about 53 litres of gas. As befits this market, the C-HR has the usual engineering features to make things a little easier: hill-hold, traction control, vehicle stability, pre-collision alert, lane departure warning, and on and on. In every respect, it’s about as up to date as these kinds of cars get. The 2019 C-HR has normal Toyota ergonomics and switchgear inside, so using the various accessories is not an exercise in frustration. But it’s not big enough to offer any kind of proper elbow room for passengers and cargo capacity is minimal. It also has a feature that’s actually pretty useful: stolen vehicle locator. So what bugs me about his one? Its size. It’s not big enough to offer any kind of proper elbow room for passengers and cargo capacity is minimal. Given its design, you’d think the C-HR would be nice and roomy. It’s not – most conventional hatchbacks offer a more practical design. The price. Before extras and options, the C-HR will run you just under $24,000. 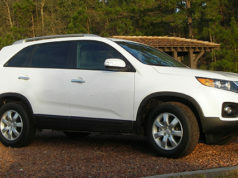 With the Limited package, and various levies and other fees, that balloons to about $31,000. Add taxes on top of that. Money not well spent. The CVT. I’m not a fan of these pulley-type transmissions at the best of times, and in this configuration, it’s unresponsive and obvious. The C-HR might be reasonably entertaining to drive equipped with a conventional planetary gearbox or a manual stick shift, but they’re not available so you’re stuck with the CVT. Weird little design annoyances. For example, the rear door handles are mounted up high on the back pillar, where they’re just about as difficult to get at as possible. If Toyota’s designers had sat around during the research-and-development process and said to each other: “Let’s put the rear door handles in a really awkward spot,” this is what they would have come up with. Also, the sun visors pivot around to the side but don’t extend to block out the sun completely. Even the cheapest models out of Korea these days have this feature. Why not here? Really annoying. On the plus side, the C-HR is a Toyota, so you know it’s probably going to be reliable. It also has normal ergonomics and switchgear inside, so using the various accessories is not an exercise in frustration. And in the city, it’s reasonably nimble and easy to navigate through traffic. But that doesn’t save it. 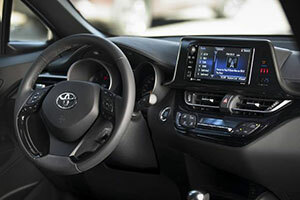 I can think of any number of more reasonably-priced automobiles that bring more to the table in terms of usability and practicality – Toyota’s own new Corolla hatchback for one. Sometimes, car companies take things a little too far. As my granny used to say, Toyota has come a cropper with this one. Some alternatives: Mazda CX3, Hyundai Kona, Fiat 500, Honda HR-V, Nissan Juke, Buick Encore, Chevrolet Trax. Next articleWhat are the Differences Between Rims and Hubcaps?